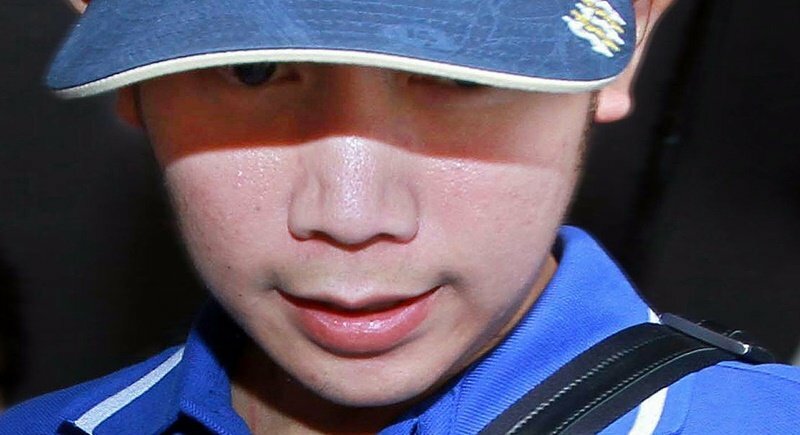 BANGKOK: The National Anti-Corruption Commission (NACC) has formed a panel to probe police officers who allegedly assisted Red Bull scion Vorayuth Yoovidhya in evading charges in connection with the hit-and-run case in which a policeman died five years ago. It is the second time the NACC has promised to investigate possible police collusion in the case. Last September, the NACC also said it would investigate police at the Thong Lor district station, after the statute of limitations ran out on a charge of speeding, one of three charges against Vorayuth. A second charge of failing to stop his car to help a victim, will run out on Sept 12 unless police get him before a court to charge him. The third and most serious charge of reckless driving causing death will remain pending until 2027, or 15 years after the fatal crash nearly five years ago. It appears unlikely that the National Anti-Corruption Commission can move the case. On Tuesday (July 18), for the first time, the Bangkok Metropolitan police chief, Lt Gen Sanit Mahathavorn, got directly involved. He said that the delay in seeking extradition of Vorayuth was a matter of red tape, specifically translating 34 pages of documents needed for a formal request. Yesterday (July 19), Lt Gen Sanit said, “We are are not foot-dragging”, and claimed translations would be completed soon, perhaps by tomorrow (July 21). Vorayuth, his billionaire mother Daranee Yoovidhya and his two siblings currently have a primary residence in London, although it took the US news agency Associated Press to determine that. Family seen with Vorayuth at the London residence in addition to his mother were his brother Varit “Porsche” Yoovidhya, a luxury car dealer in Bangkok, and his sister Varangkana, nicknamed Champagne. It is expected that when the extradition-form translations are completed that police will then say they are uncertain when and how to file the papers, because they are uncertain of the whereabouts of the jet-setting suspect. The NACC claimed last year it was opening an investigation into whether a senior policeman might have been behind the alleged irregularity that resulted in failure to detain and charge Vorayuth. The anti-corruption agency has never reported on the progress or result of that probe. Yesterday, the NACC said that it had notified the Royal Thai Police about its decision to set up the new panel. It will be led by NACC member Surasak Keereevichien, a source said. The new investigation will attempt to zero in on multiple police officers who allegedly abused their positions to help Vorayuth avoid being charged with drink driving and speeding, the source said. The officers also failed to take Vorayuth to prosecutors for indictment before he fled the country, the source noted. The six officers to be investigated are Maj Gen Krit Piakaeo, former chief of Metropolitan Police Division 5; two of his deputies, Col Sukun Prommayon and Col Traimet U-Thai; Col Chumpol Phumphuang, superintendent of Thong Lor Police Station; as well as Lt Col Wiboon Thinwathanakul and Lt Col Wiradol Thaptimdee, both inquiry officers. Last year’s NACC probe came after the agency received allegations of police playing a role in the expiry of the statute of limitations for the speeding charge, according to NACC sources. At that time, the chief target of the investigation was Maj Gen Krit Piakaeo, former chief of Metropolitan Police Division 5, which oversees the Thong Lor area. Maj Gen Krit had already retired from police service. But since the probe supposedly started last September, there has been no sign of progress. The last time the 2016 probe was mentioned was when the NACC sent a letter to city police chief Lt Gen Sanit – who still holds that position – asking him to send “relevant officers” to meet the agency on Oct 3 for questioning, along with relevant documents regarding the case. It is believed that none of the officers mentioned had appeared at the NACC.